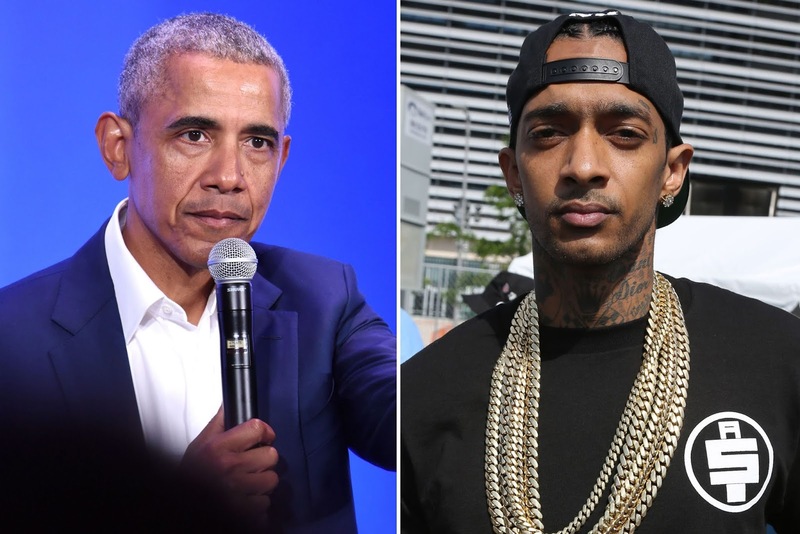 Former President Barack Obama paid tribute to rapper and community activist Nipsey Hussle in a letter that was read at a Hussle's memorial. I'd never met Nipsey Hussle, but I'd heard some of his music through my daughters, and after his passing, I had the chance to learn more about his transformation and his community work. While most folks look at the Crenshaw neighborhood where he grew up and see only gangs, bullets, and despair, Nipsey saw potential. He saw hope. He saw a community that, even through its flaws, taught him to always keep going. His choice to invest in that community rather than ignore it -- to build a skills training center and a coworking space in Crenshaw; to lift up the Eritrean-American community; to set an example for young people to follow -- is a legacy worth of celebration. I hope his memory inspires more good work in Crenshaw and communities like it.